European deliveries of the Evoque will begin in September. Land Rover started production of its Range Rover Evoque on Monday, as the first production vehicle was driven off the line at Land Rover's UK Halewood plant in Liverpool. "The Evoque is an incredibly exciting vehicle that joins a product range which across both of our brands is the strongest we have ever had – and it fits in perfectly," Ralf Speth, Jaguar Land Rover CEO said in a statement Monday. The automaker says it has already received 18,000 orders globally for the vehicle, which is one of 40 new products the company is planning to launch in the next five years. 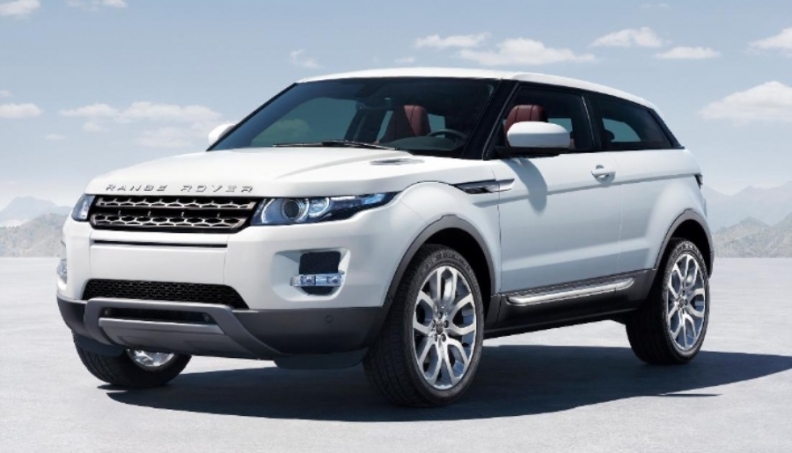 In preparation for production and delivery of the Evoque, JLR doubled its Halewood workforce to 3,000 employees. The carmaker expects to export 75 percent of output at the plant. "It is a groundbreaking product, a Range Rover with concept car looks, lightweight technologies and the capability to deliver 50mpg fuel economy. At the same time it's still a true Range Rover that's agile, nimble, designed to survive in the urban jungle and capable of tackling the toughest climates and terrains," Speth added. Land Rover says the Evoque's starting price in the UK will be 27,955 pounds (around 32,000 euros) and that the SUV will be offered in both five-door and coupe body styles and will go on sale in September. Customers will have a choice of two 2.2-liter turbodiesels, one that offers 148 hp and the other 187 hp, and a 2.0-liter gasoline engine with a performance rating of 237 hp. All variants will be offered with six-speed manual or automatic transmissions, and, for the first time in a Range Rover, the option of front-wheel drive as well as four-wheel drive. Land Rover says the sporty Range Rover Evoque three-door coupe will be shipped with two individual rear seats, with customers having the option of ordering a three-seat bench if preferred. The Evoque five-door model, with which the automaker is targeting traditional SUV customers and families, has a roofline that is 30mm taller than the coupe's to offer extra head and shoulder room for rear-seat passengers.